The Claw - all grip, with no slip. 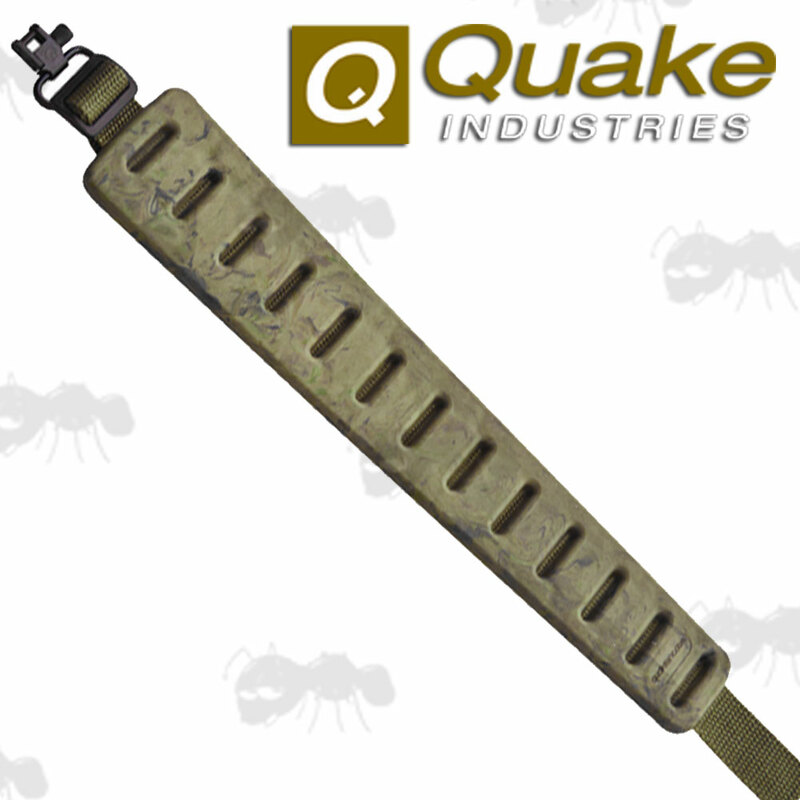 Also available ~ Quake QD Base Studs. Top performance in any weather. Flexible yet wont crack, shrink or fade. Wont absorb moisture or odour. Complete with ready fitted metal Hush Stalker QD swivels. The shoulder pad goes from 1.75 inches one end to 2.50 inches wide the other. With 1 inch / 25mm wide adjustable length webbing strap. They weigh approx 180 grams. 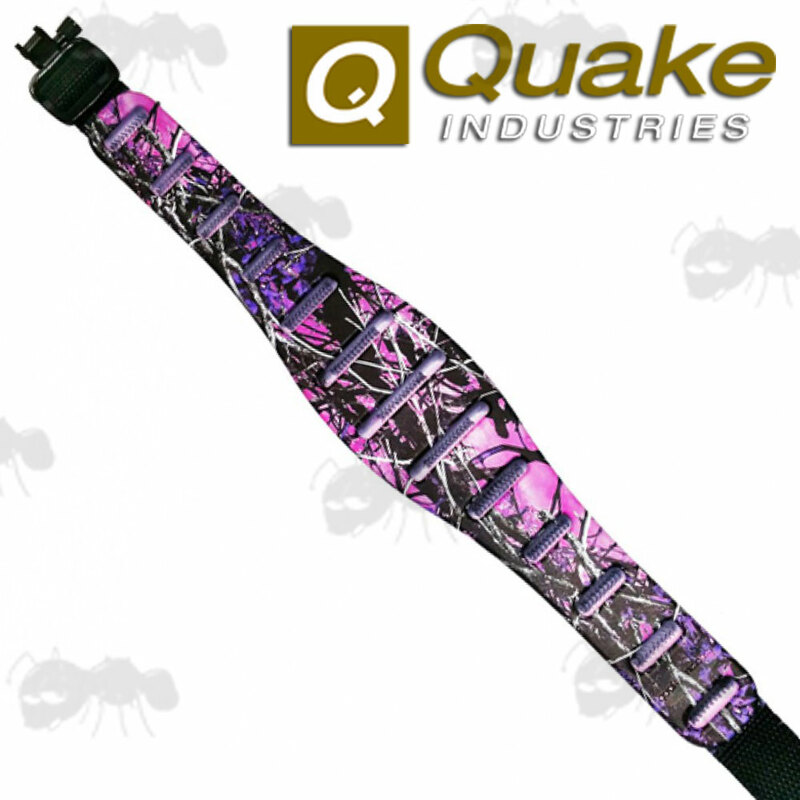 The Claw® rifle sling utilizes the latest in soft touch materials. 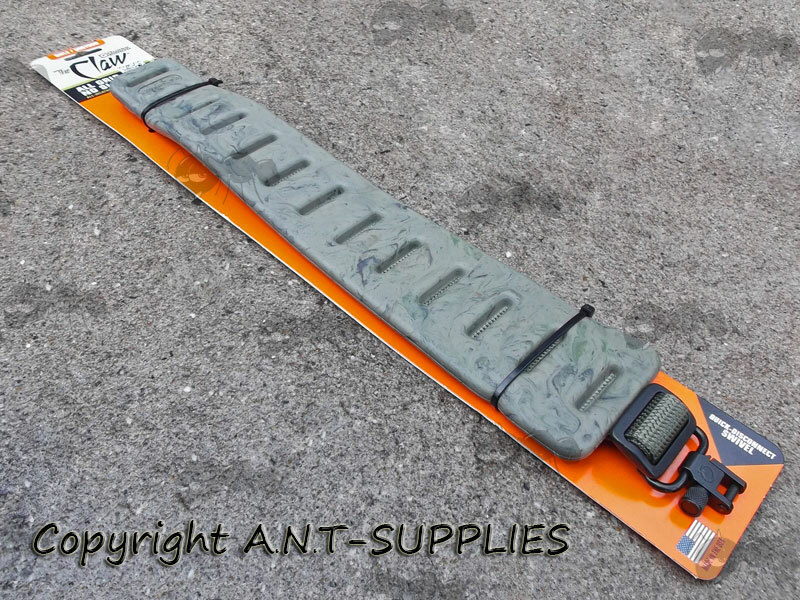 The durable, non-slip polymer pad is moulded directly onto the sling webbing. As an added value The Claw® rifle sling comes with the patented quick fitting sling swivels. The CLAW® Sling System is widely known for having the best non-slip pad incorporated into a sling. The extremely durable and odour resistant pad is molded into the sling webbing to allow approximately 1/2" of stretch. This stretch spreads the weight of the firearm across the shoulder area greatly increasing your comfort. eliminating the tugging, rolling and pulling caused by other slings on the market. Hunting in extreme conditions this season? The CLAW® Sling will last as long as you do in anything from miserably hot to Arctic cold weather conditions. The pad will remain flexible to -40 degrees Fahrenheit and is U.V. stabilized to eliminate fading or cracking. The durable CLAW® Rifle Sling can be used with rifles, shotguns or any firearm with swivel studs mounted on the buttstock and barrel. As an added value, the CLAW® Rifle Sling includes HUSH STALKER II™ QD Metal Sling Swivels, so all you will need is QD sling studs if you don't already have them fitted. Comfortable to use and easy to clean, the CLAW® Rifle Sling will not hold water like foam, urethane or leather slings.